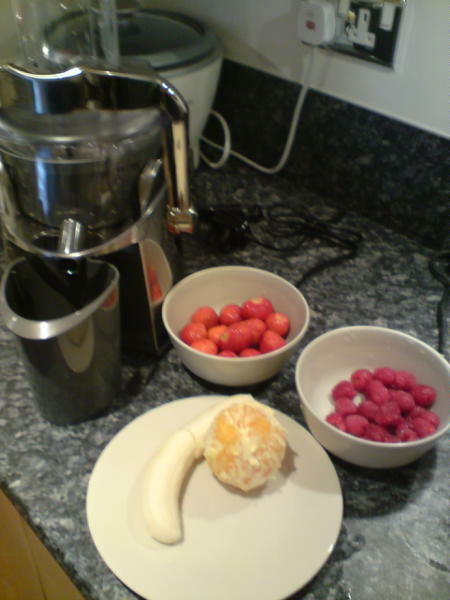 A friend sent me this pictures of a juice that he says is a great way to start the day: Banana, Orange, Raspberries and Strawberries. Make sure the berries are nice and ripe otherwise it could be a bit too tart. 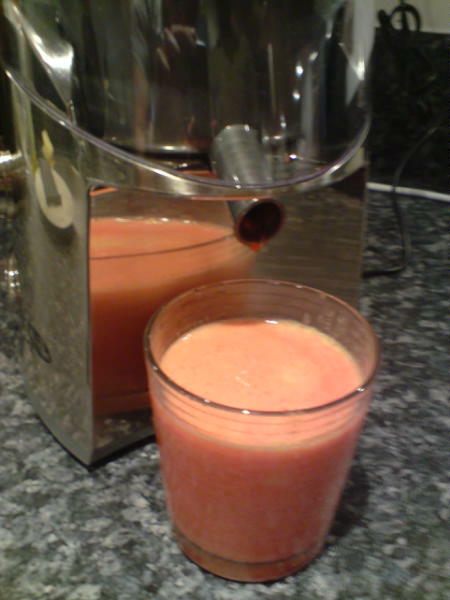 The juicer in the picture is the Breville JE24 Whole Fruit Juicer.